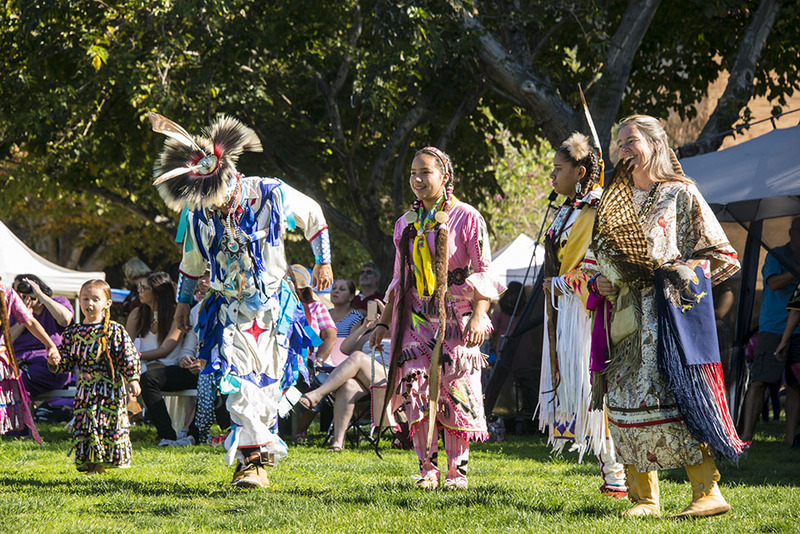 California State University, Northridge's 34th annual powwow was a joyful celebration with American Indian music and dance. Photo by David J. Hawkins. 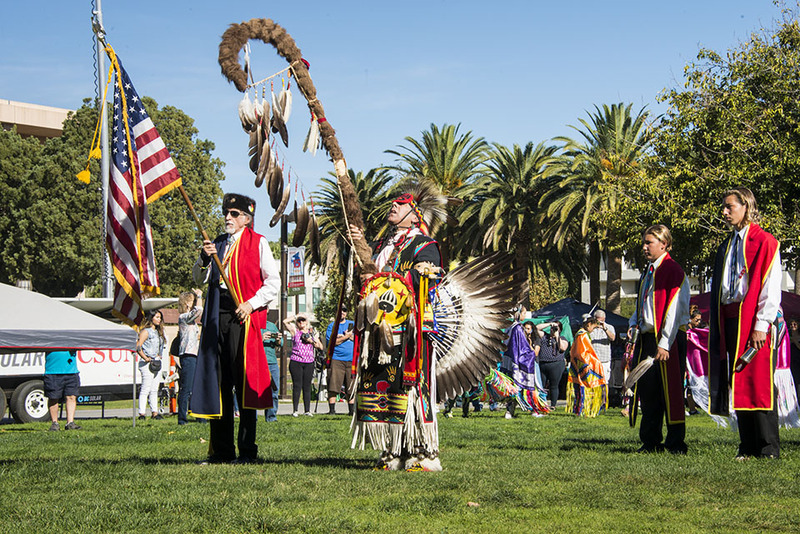 American Indian Veterans bring in the American Flag and the Eagle Staff to start the powwow. Photo by David J. Hawkins. 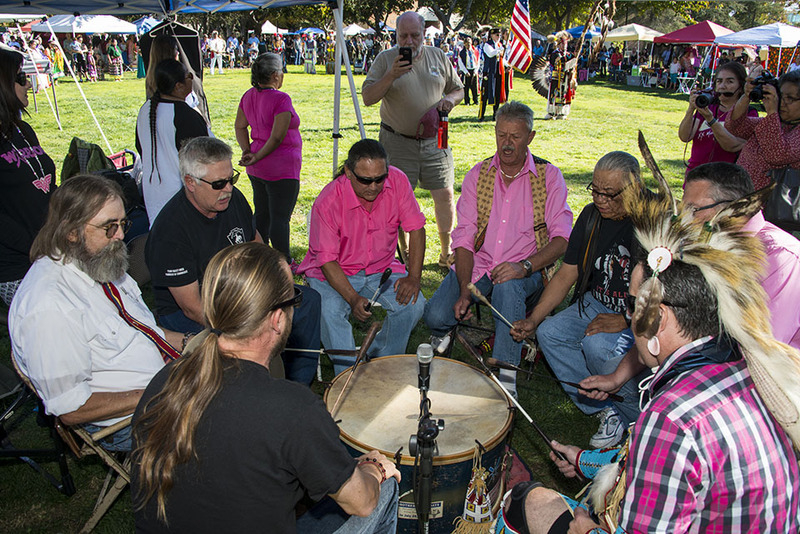 California State University, Northridge's annual powwow brought people to campus to celebrate with First Nations. Photo by David J. Hawkins. 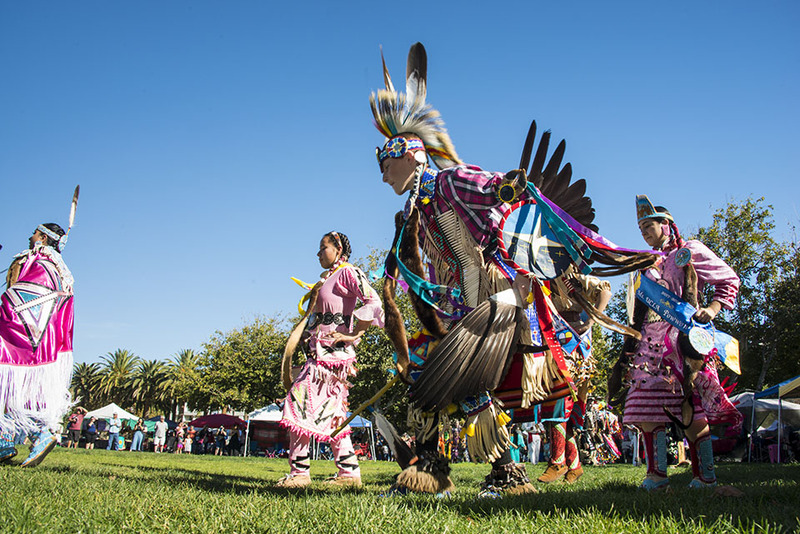 California State University, Northridge's American Indian Student Association organized the annual Powwow. Photo by David J. Hawkins. 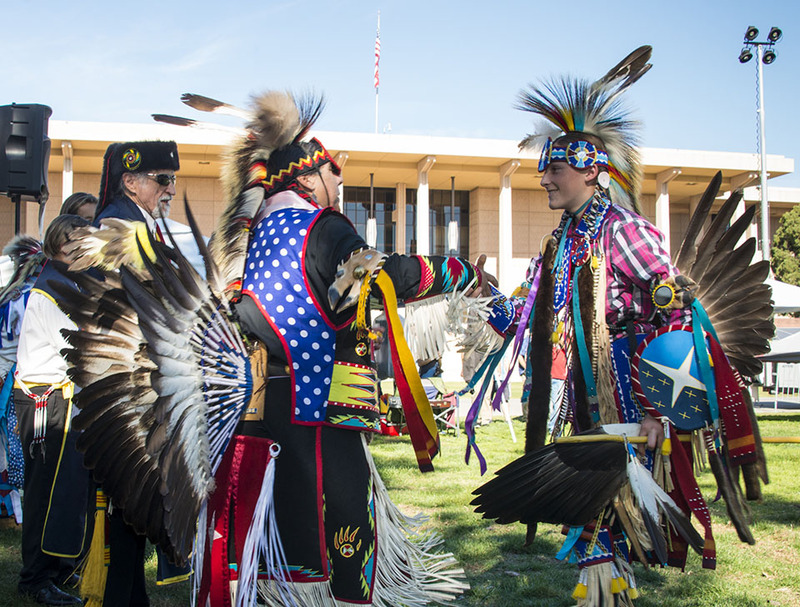 Young and elder gathered at California State University, Northridge on Nov. 25 for the 34th annual Powwow. Photo by David J. Hawkins. 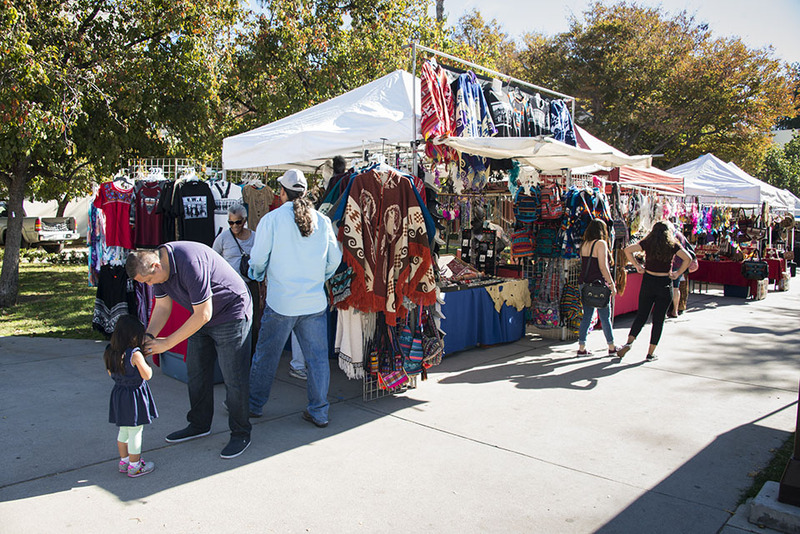 Vendors lined up at the Powwow with First Nations merchandise. Photo by David J. Hawkins. 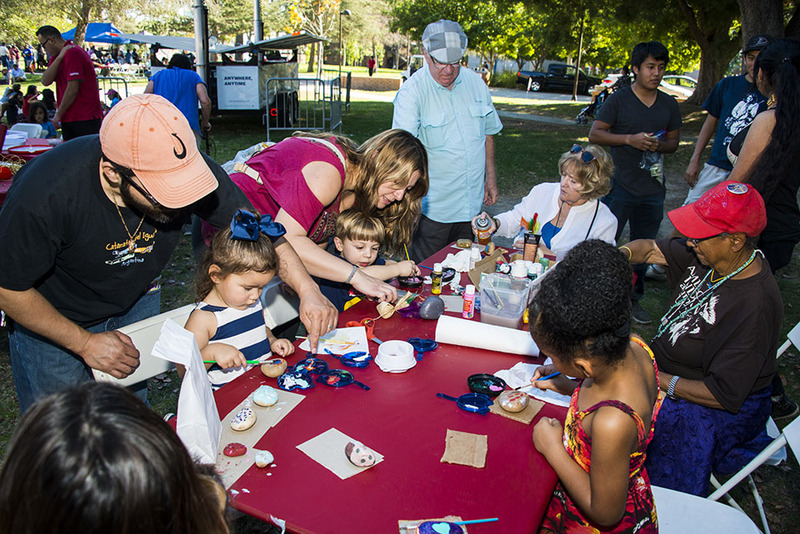 Children and adults alike enjoyed making arts and crafts at the Powwow celebration. Photo by David J. Hawkins. Northern host drum Blue Star are singing for the Grand Entry at the Powwow. Photo by David J. Hawkins. Gavin Watts was head boy dancer at this year's Powwow. Photo by David J. Hawkins. 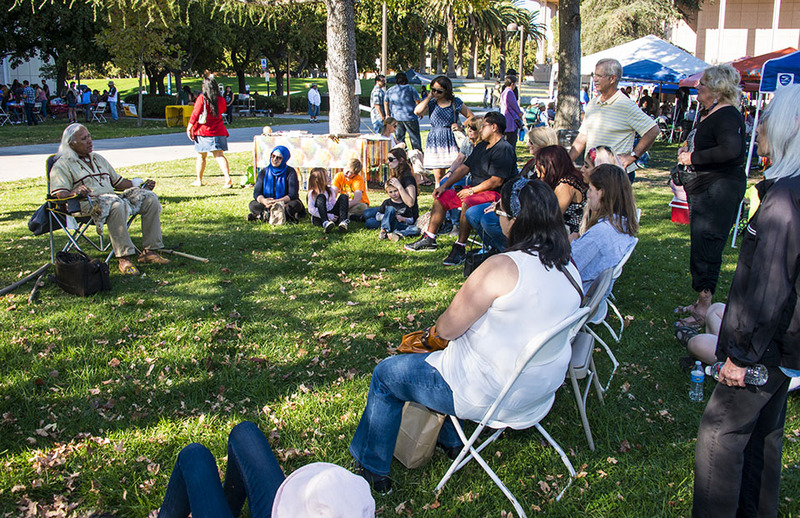 Many gathered to listen to traditional storytelling by Alan Salazar, Chumash and Tatavium storyteller. Photo by David J. Hawkins. 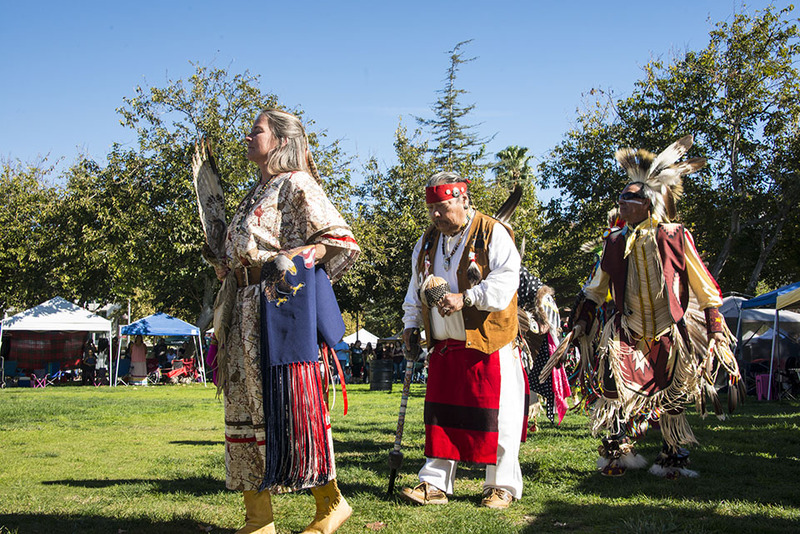 The 34th Annual California State University, Northridge Powwow brought a joyful celebration to campus in late November. 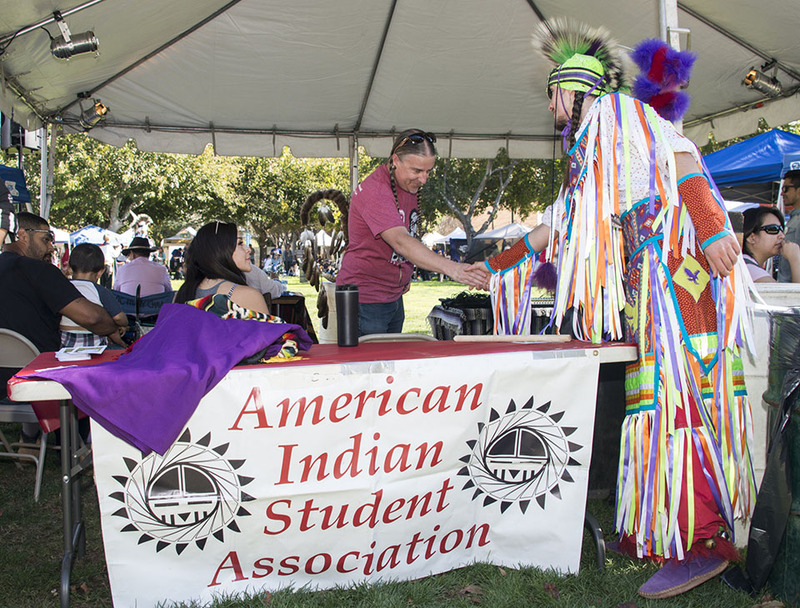 Organized by the American Indian Student Association and the American Indian Studies Program, the all-day event had activities for the entire family with First Nations dance, music, crafts and food. For more information about the American Indian Studies Program please visit their website.